Honey comb. Budder. Wax. Shatter. 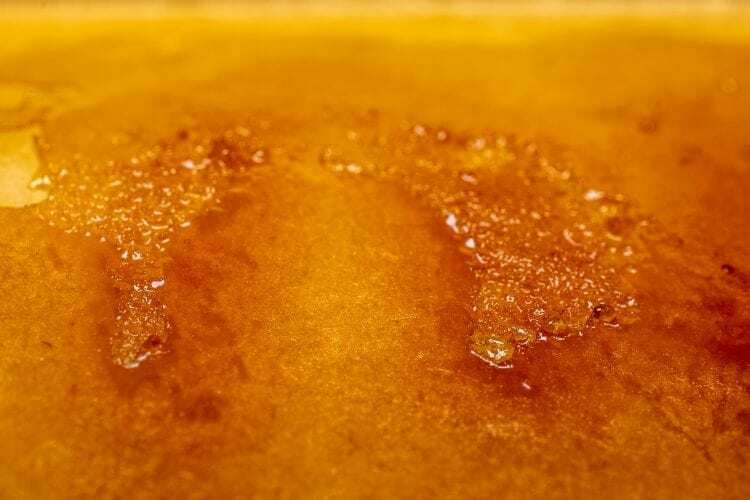 It’s 2019, and while smoking marijuana flowers is great, if you haven’t “dabbed” into the world of cannabis concentrates yet — you’re missing out. You’re going to love the selection of high-grade, top-shelf and cheap bulk shatter at CannaWholesalers.ca. These weed extracts will blow your mind and give you the ultimate cannabis concentrate experience. The higher the quality is, the better it is for your lungs. If you choose a lower grade shatter, wax, or otpher cannabis concentrate, you will experience heavier coughing and risk more damage to your lungs from the harsh smoke. Enjoy smoother, better hits when you buy the purest, high-quality cannabis shatters available in the Canadian market. Keep reading as we take a closer look at each of these top-selling cannabis shatters from CannaWholesalers.ca. Super Skunk indica-dominant hybrid cannabis strain. The flowers of this cannabis strain are dense and thick. So what happens when you take this super strong and surprisingly sweet strain of marijuana and turn into a concentrated shatter? The result is a delicate and sweet honeycomb shatter that harnesses a super power for relaxation and produces the ultimate body high. Take in a smooth hit of this shatter from your dab rig and sit back as the stress of a heavy day drifts away. Buy bulk Super Skunk shatter online today. that can kick even the worse tensions and aches? Blood Diamond OG shatter just might be the right cannabis concentrate for you! Somewhat mysterious in terms of its roots, Blood Diamond OG is a combination of OG Kush and an unknown strain of cannabis. Its effects are long-lasting and the powerful full-body relaxation makes it an absolute must for medical cannabis patients. Stoners also appreciate the full-blown melt-your-face-off indica effects. When it comes to shatter — it doesn’t get more potent. Pick up some of this top-shelf cheap bulk shatter online today as Canadian stoners can’t get enough of it at CannaWholesalers.ca. BC’s Sea to Sky. When it comes to bragging rights, Death Bubba sure does have some famous parents to be proud of, as it was bred by crossing Death Star and Bubba Kush. In its flower form, Death Bubba commands respect with its pungent skunk scents that explode to sweat earthy flavours and aromas when combusted. When it’s consumed as a shatter, the sedative properties of this cannabis strain are enhanced and the indica-dominant couch-locking effects are strong. Seriously. It’s no joke and one of the highest grade shatters you can find. If you are looking for a cannabis shatter with maximum potential to ease your aches and pains and produce the ultimate euphoria — Death Bubba shatter is your match. Buy some Death Bubba shatter online Canada wide right here and try it for yourself. all over the world have fallen in love with the tempting buds from the King Kush cannabis strain that are covered in shiny trichomes and smell like lavender. Sweet and sour with a kick of grape, the flavours of King Kush flowers are pleasant. Smoking King Kush is a powerful experience that will have you blasting off with its THC levels that peak above 20 percent. Harnessing this powerful flower and turning it into a high-grade shatter creates a concentrated kick of indica-dominant effects that will send you sailing and provide relief for troubling symptoms. Buy some King Kush shatter today at CannaWholesalers at the lowest prices throughout Canada. Want Bulk Shatter Online Canada-Wide? You’ve found your home. Kick back. Relax. Make yourself comfortable and browse and buy bulk shatter online Canada-wide at CannaWholesalers.ca, where you can get the best prices on quality shatter and other cannabis products. 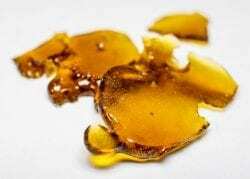 Have any questions about buying bulk marijuana concentrates online? Have you tried CannaWholesalers.ca‘s top shelf extracts? What did you think? Give us a detailed message below in the comments!